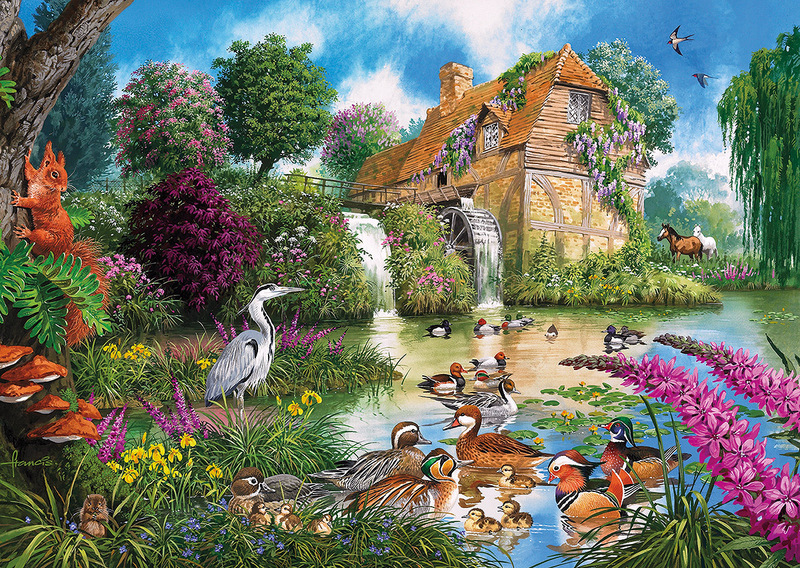 Artist John Francis adds to the 4×500 collection with these four beautiful cottage scenes. 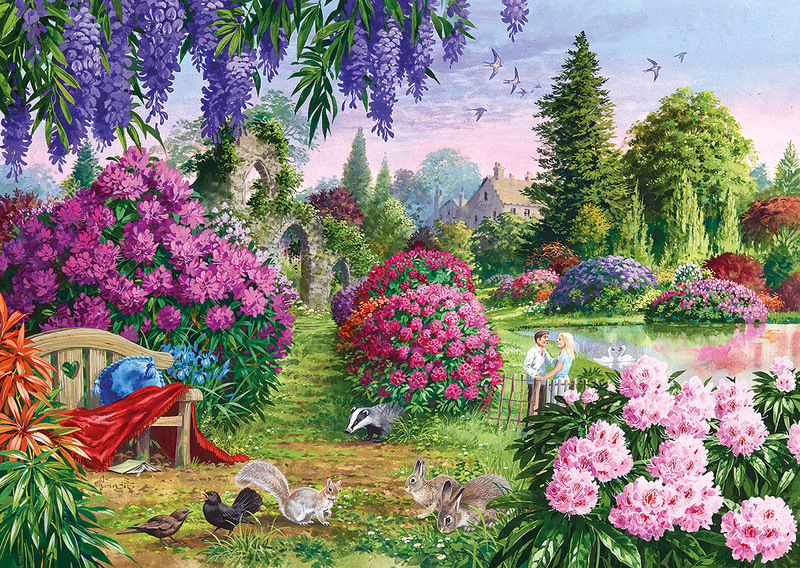 The wonders that nature provides are beautifully illustrated in the tranquil and idyllic settings. 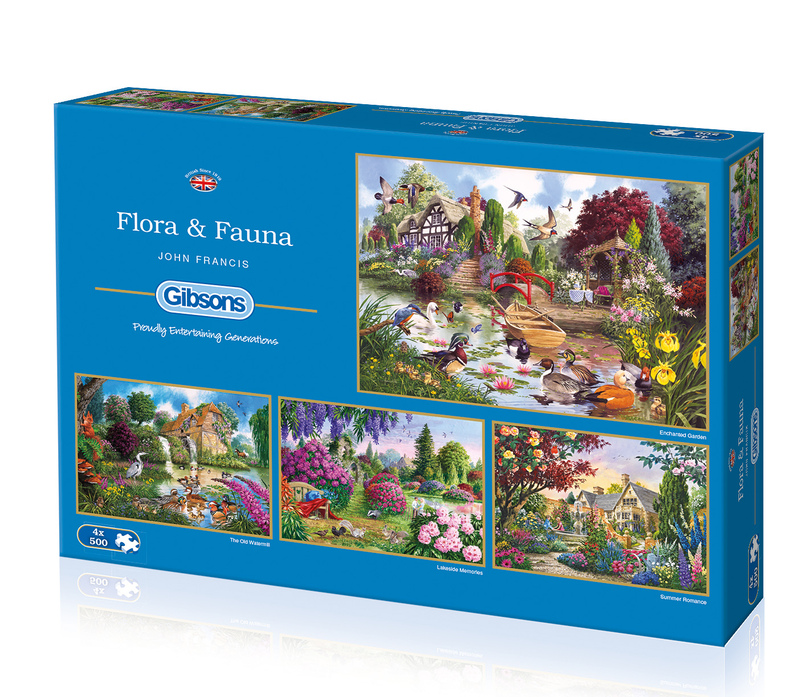 Gibsons jigsaws are made from the highest quality 100% recycled board and are therefore a pleasure to handle again and again. Beautifully painted by artist John Francis. John Francis grew up in Nottinghamshire and was born in 1950 and is a self-taught illustrator that specialises in Natural History. His work ranges widely over all areas of wildlife portrayal of the demands of scientific exactness to the more loosely drawn children’s books. Renowned for putting ‘life’ into his pictures, he is in great demand from a world-wide client list which includes Dorling Kindersley and the Sunday times. John is a committed conservationist with a deep interest in the living environment. His travels have taken him far and wide, from the icy wastes of the Artic to the parched deserts of North America. 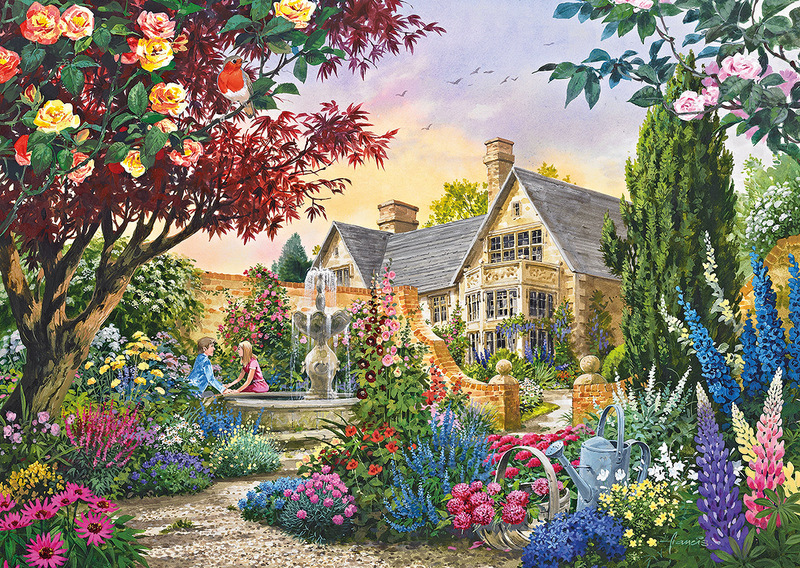 Whilst painting pictures for Gibsons puzzles, John lives in Wales with his wife, five children and their dog and enjoys cooking, walking and going to the theatre.